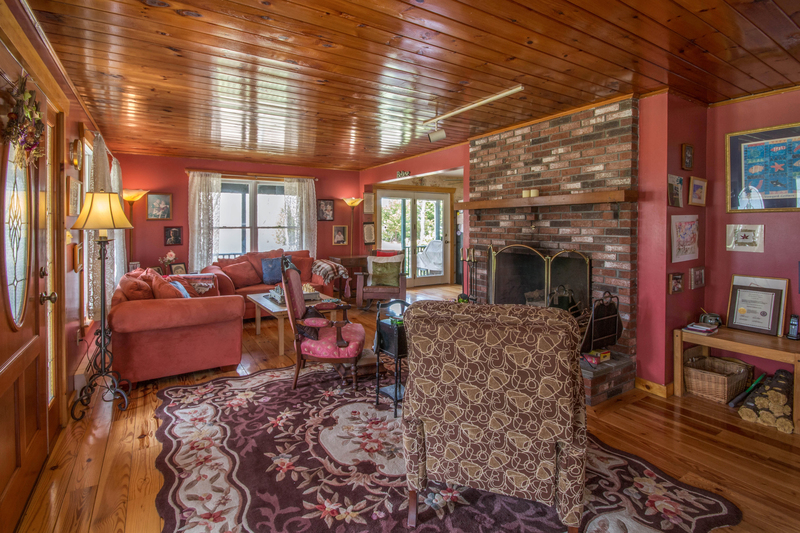 Large living room with warm details, such as a pine ceiling, wood floors, and a wood burning fireplace. 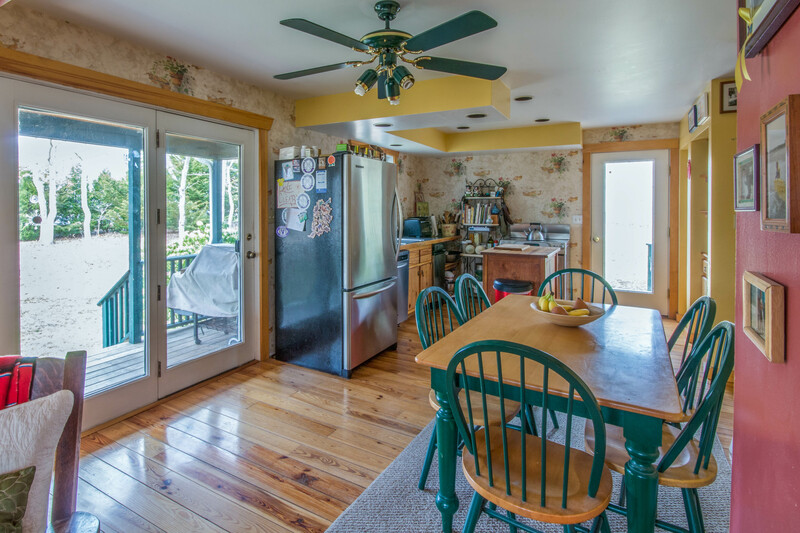 The recently renovated kitchen and adjacent dining area have access to the wraparound farmer's porch and back deck, making this space live large. 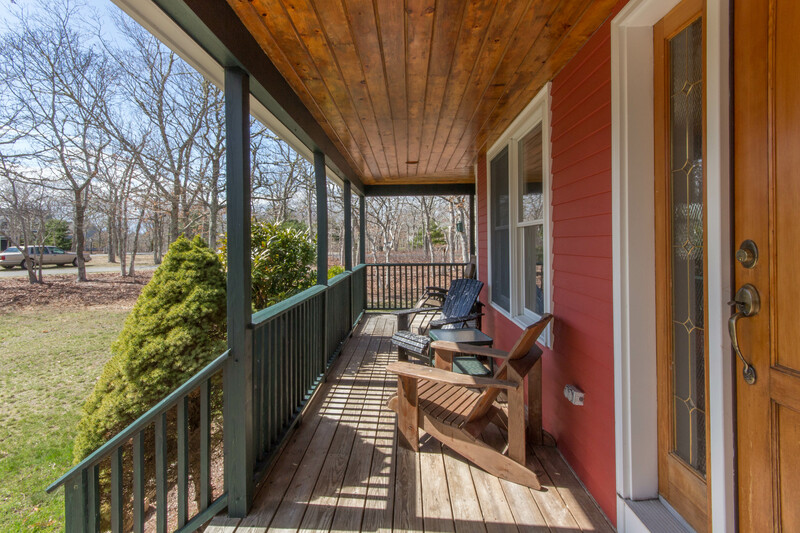 A welcoming farmer's parch overlooks the large, grassy front yard.